Merl Baker, a native of Cadiz, Kentucky, received a Bachelor of Science degree in mechanical engineering from the University of Kentucky in 1945. He was a member of Omicron Delta Kappa, editor of the Kentucky Engineer, president of the American Society of Mechanical Engineers student chapter, managing editor of The Kentuckian, and held leadership roles with the Student Government Association. After spending one year in the U.S. Navy during WWII, he pursued a Master of Science degree and a Ph.D. degree in mechanical engineering from Purdue University, receiving the degrees in 1948 and 1952, respectively. Dr. Baker began his career as an educator and administrator in higher education with his appointment as assistant professor at the University of Kentucky Department of Mechanical Engineering in 1948, advancing to associate professor in 1952 and professor in 1955. In 1953, he was appointed as the first executive director of the Kentucky Research Foundation, responsible for planning and advancing the University’s research programs and developing sources of external funding, which increased tenfold under his leadership. He was named director of international programs in 1955, coordinating the University’s program with the U.S. Agency for International Development (USAID) and providing educational assistance to universities in Indonesia and Guatemala. In 1963, Dr. Baker was appointed Dean of the University of Missouri’s School of Mines and Metallurgy at Rolla, recognized at that time as one of the top schools of its kind. When the campus was reorganized in 1964, he was inaugurated as its first Chancellor. Heading the technological campus, Dr. Baker planned and presided over growth in faculty quality, enrollment and physical facilities, including a new library and mechanical engineering building. Particular growth was noted in graduate and research programs. A College of Arts and Sciences and an Engineering Management Department were established, along with 11 centers and a graduate engineering center in St. Louis. Dr. Baker led the first engineering program pursued in South Vietnam funded by USAID. Dr. Baker was named special assistant to the President of the University of Missouri system in 1973. During the next three years, he conducted research in the organization and management of public higher education, culminating in an extensive report, Multi-campus and Consolidated University Systems: Administrative Structures and Governance. Widely known and respected for his organizational management expertise and experience in heat transfer and energy conservation, Dr. Baker was appointed to key management positions at Oak Ridge National Laboratory from 1977 until 1982. He managed projects in energy policy and utilization and prepared reports interpreting federal energy programs to aid utilities and state and local governments. In 1982, Dr. Baker was appointed Provost at The University of Tennessee-Chattanooga, where he supported the creation of a master’s level engineering management program. Dr. Baker returned to teaching and research in 1984 as professor of engineering and engineering management and director of the Center for Professional Career Development. 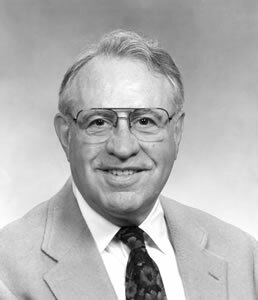 Dr. Baker was active in numerous professional organizations, including the American Society for Engineering Education (Fellow Member), American Society of Engineering Management (Fellow Member), American Society for Heating, Refrigeration and Air-Conditioning Engineers, American Society of Mechanical Engineers, National Society for Professional Engineers, Institute of Electrical and Electronic Engineers and the Institute of Industrial Engineers. He also served on the UK College of Engineering Dean’s Advisory Council and was a member of Second Presbyterian Church. He published nearly 100 articles and papers in engineering, education and management. His honor society memberships included Omicron Delta Kappa, Phi Tau Sigma, Sigma Xi, Tau Beta Pi, Phi Kappa Phi, and Scabbard and Blade. His honors included UK Hall of Distinguished Alumni, Purdue University Distinguished Engineering Alumnus Award, Purdue University Outstanding Mechanical Engineer Award, Pi Tau Sigma Gold Medal Award, MSM-UMR Alumni Merit Award, ASHRAE Outstanding Teaching and Distinguished Service Award, and the University of Missouri-Rolla Silver Centennial Medallion. In 1968, he was inducted as a member of the Cosmos Club of Washington, D.C., whose membership included those who have published extensively in refereed journals and are recognized for leadership and national service. Dr. Baker died August 14, 2013. His wife, Emily Wilson Baker, passed away in 2017. They are survived by two children.